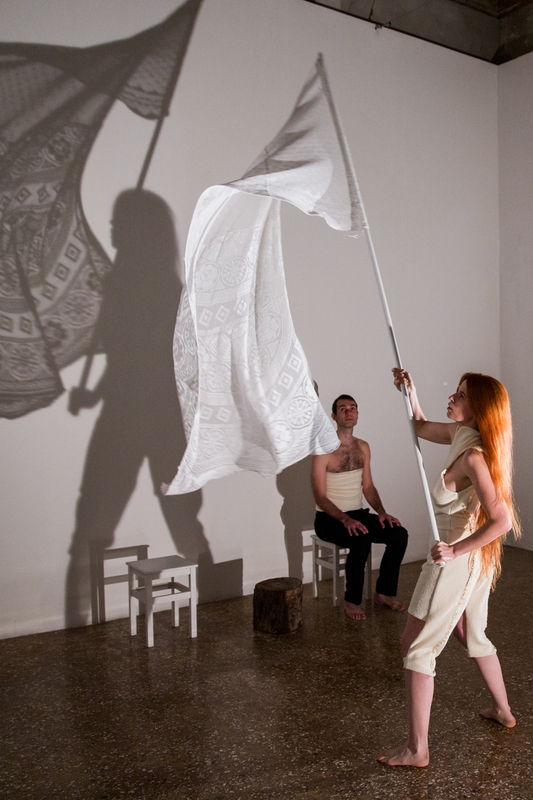 Italian artists Samanta Cinquini and Luca Nava met within a theatrical context, and have been collaborating since 2006. Their practice is multidisciplinary and reaches from writing to painting, from performance to theatre, from photography to video art. Their interest is on the anthropological aspect of the human being and of being a person in relation to an other, as well as to the mythologies that remain or are being re-invented. At the VENICE INTERNATIONAL PERFORMANCE ART WEEK 2016, Cinquini and Nava present their new long durational performance BARBARA (Costumes: Micaela Leonardi). The work circulates around a transposition of a fairy tale written by the artist: "We believe in the need for new narrations. There are legends of beauty that survive over despair. The body is fragile, but the cracks - if shared - show the point where sky and earth meet."